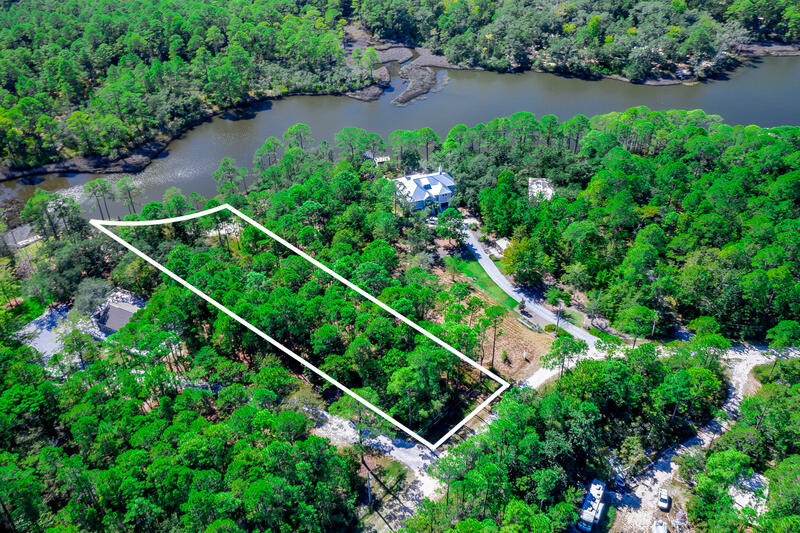 Nature lover's paradise - over an acre of bayou front property! This is the place where your waterfront dreams will come true. 160 feet on the bayou, nestled in the shade of magnificent magnolia, oak, pine and hardwood trees you will appreciate this natural setting that is truly unique and private. Lot 8 is nestled among an enclave of lots that are each over an acre so you'll have privacy and plenty of room to build your primary or second home. This Lot has recently been cleared/ bush hogged and water is navigable with a small craft leading to the bay. There is a 20 to 25 foot buffer between lot 8 and lot 9. Incredible tranquility, just the way life was meant to be! You are just minutes away from public beach access, shopping and restaurants. No build out time or association dues.